I planted two urns with the oddly named Chinese dunce’s cap this summer. I usually put bedding in but the pots do not contain much soil and watering is always an issue so I thought something succulent would be less hassle. 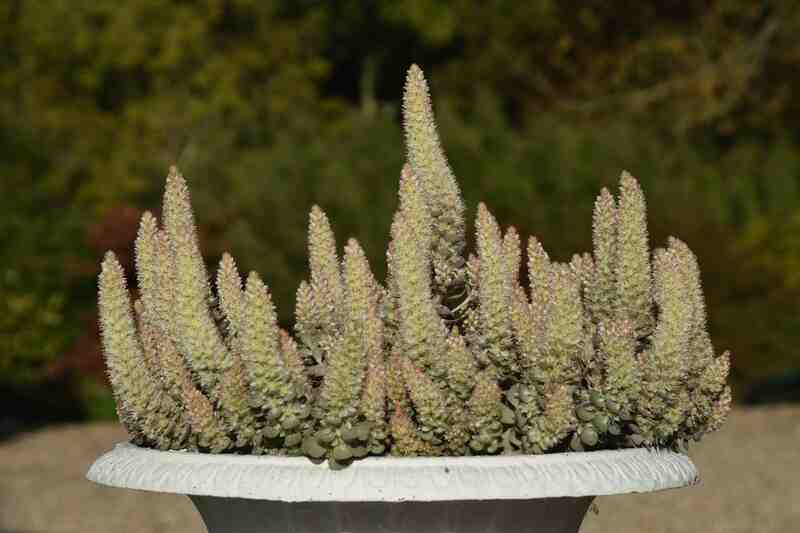 This plant (Orostachys iwarenge) is a crassula relative from Japan – or at last I think it is because these plants were labelled with some bonkers ‘euro label’ that had some stupid name that had something to do with cavemen. So I cannot be 100% certain of the name but I have grown it before and this looks just the same. 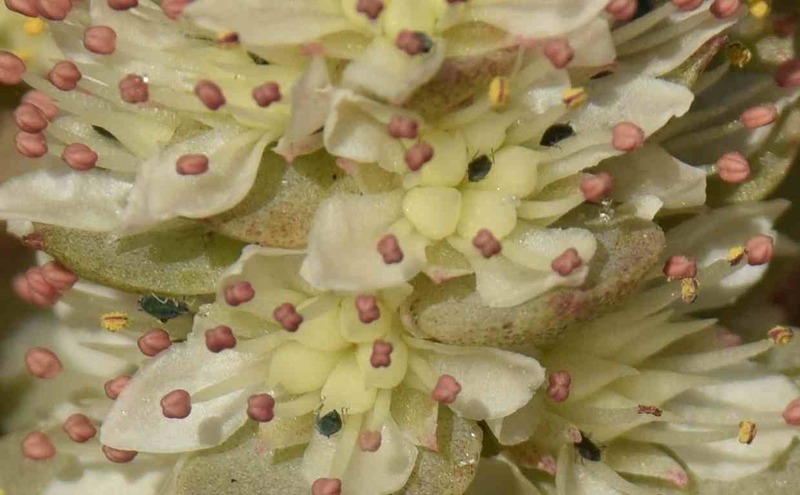 It is a plant of two characters and at first it makes a mat of loose rosettes, linked by thin stolons with a grey or beige colour depending on the light and watering. With luck, most of these start to form conical spires of foliage in decreasing size as they ascend the stems, giving them their common name. 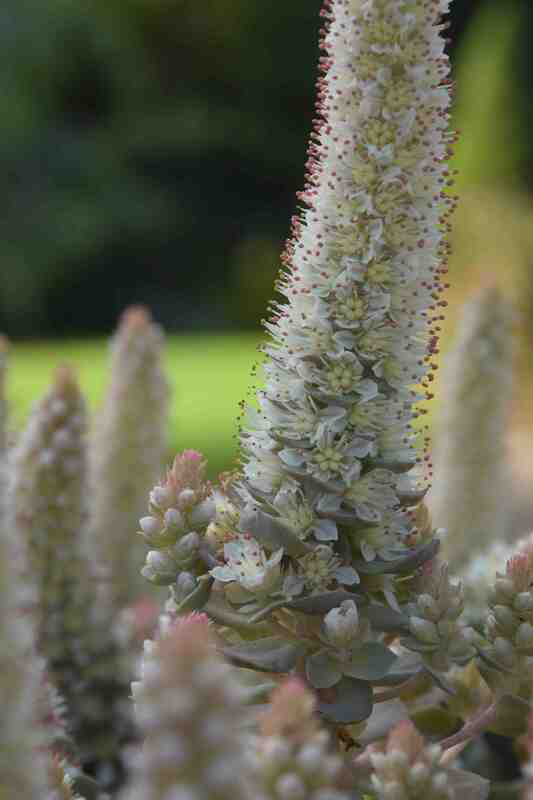 And eventually these elongate into spires of creamy white flowers. As they age the ovaries take on a pink tinge. As would be logical for such a succulent plant, a spot in full sun and dry soil suits it best. This is not a colourful plant by any means but it is cute and attractive and it is popular with bees, though I have not seen butterflies on it but that could be because of the shape of the flowerheads. What I had not noticed until I took these photos is that it is also popular with black aphids too. In theory, although the flowered rosettes die after setting seed there will be other rosettes that will grow on next year. When I grew this before the plant had nothing left to give and it died and it looks as though there is nothing left to grow again this year so this may be a one act performance. Again, in theory, there should be lots of seeds produced to keep it going for the next year but it blooms so late that these will probably not ripen – but we will see. 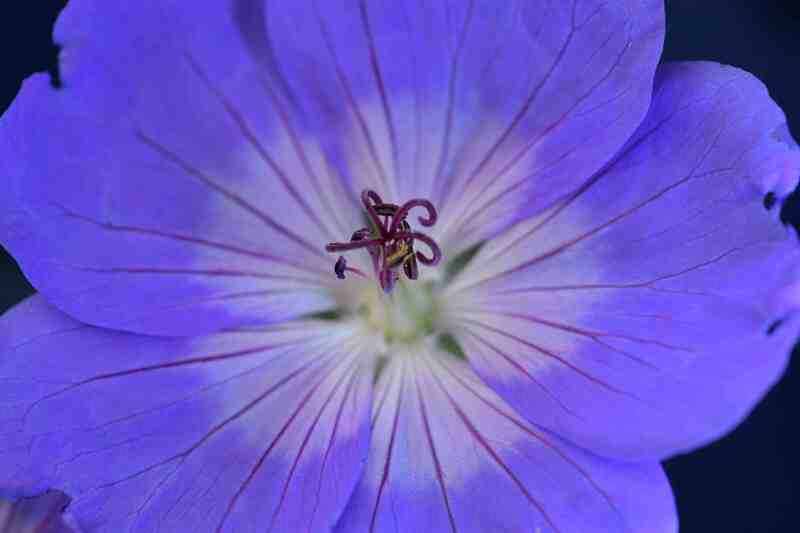 Yesterday’s flower was Geranium ‘Rozanne’. 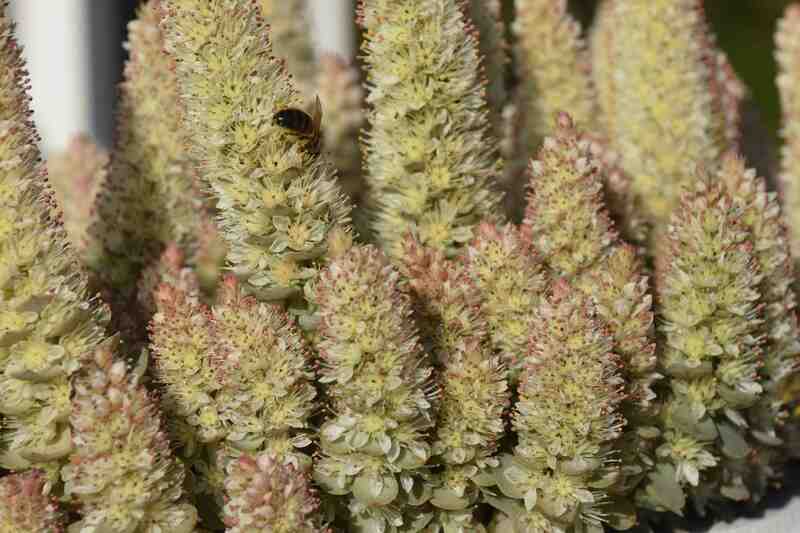 This brilliant plant was crowned plant of the century at Chelsea Flower Show a few years ago. It is one of the best blue geraniums because it doesn’t produce a big flush and then need cutting back but just keeps expanding and flowering and always looks good, blooming from July to October. It’s amazing how much the camera sees that we miss. wow, so this is what they will look like as adults, mine will get there someday 🙂 beautiful succulent. I’ve not heard of this one before. Although not a “wow that blew my socks off” it is curious and looks great in the urns. Sometimes subtle is preferable.